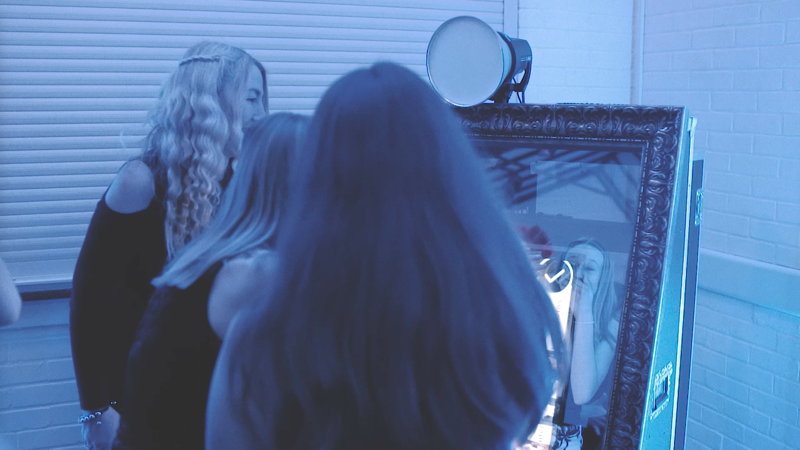 Invite Events offer the newest Photo Booth concept (Magic Mirror) hugely popular for Weddings, Corporate events and Private Parties available for hire within the Hampshire, Surrey and surrounding areas. Hire the Magic Mirror Photo Booth is the latest ‘must have’ style of Photo Booth, based on an amazing concept where a fully operational touch screen Photo Booth is discreetly concealed behind a 2-way mirror. Available to Hire in Hampshire, Surrey, Dorset, Sussex, London and anywhere in the South Coast. The Photo Booth is perfect for Weddings, Corporate or Private Parties. 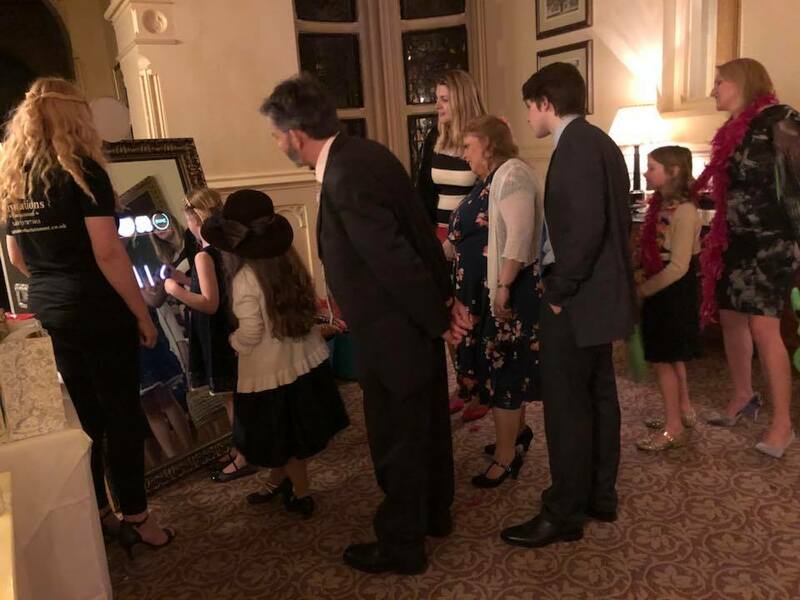 Guests stand in front of the Magic Mirror Photo Booth an assistant will operate the touch screen Magic Mirror Photo Booth and take a full-length selfie picture. The quality of the Photos is of a high standard, using a combination of both a professional DLSR camera and studio flash light. The Flash and camera can be adjusted to accommodate any scenario. A Guest Book is a fantastic addition when booking a Magic Mirror Photo Booth; this gives you the ability to look at on those special moments any time. Included as standard in Package 2/3 our Guest Book gives you a full album of all event photos taken during the event. How does it work? The Magic Mirror Photo Booth attendant will take 1 of the 2 prints from each session and glue the image direct into the book. Guests can then write and leave message. This is a brilliant addition for Weddings as it gives all brides and grooms the opportunity to reflect back on the evening of celebration with friends and family. Keys Rings is an excellent addition when hiring a Magic Mirror Photo Booth: this feature provides you and your guests to take away a key ring of your special moment with friends and family. Perfect for a present to a family member who perhaps couldn’t be at the event. The Magic Mirror Photo Booth attendant will take one photo with four pictures on, choose your best one for the key ring then it will be surely place and given to the guest. This is a brilliant addition for any special occasion, your guests will have a momento for years to come of your special event.